I am not exaggerating when I say that Mark and Raquel make me laugh more than any other couple I have met. They each have a sense of humor that is quick, clever and natural—it's only amplified when they are together. (Check out their Facebook wall conversations if you don't believe me.) You can't help but smile when you're with them. And we've learned that they can't help but smile & laugh when they're with each other either! These two best friends are tying the knot in September. "We met at the Wisconsin State Fair in 2012...so romantic," Mark smiled. "We had common friends we went up with, and enjoyed our day watching pig races! We rode up in the same car, in the back seat, one friend on one side, Raquel in the middle and myself on the other end." Both Mark and Raquel commented about it being 100 degrees that day and both wondered what the other could have possibly seen in their first impression besides sweat. Ha! After they first met, Mark was sure there was a spark there and definitely wanted to get to know Raquel. "Obviously I was blown away by her looks…and that hasn't changed," Mark said. Seriously—you can't take a bad picture of either of these two. Gorgeous! Raquel's first impression of Mark was that he was very handsome and polite (a tough combo to come by). A year and a half later, she adds, "I now know that he is one of the most intelligent men I know. He is hilarious and always thinks of others before himself. I am not always a very easy person to handle but his patience is like no other. I can be screaming mad but he can calm me down—which seems like the impossible sometimes." "I'm tearing up just thinking what an amazing gift I have been given," Raquel said of Mark. "I can remember praying when I was younger for the man that God had chosen for me. I prayed for his safety and patience if we had not yet met. I prayed for his protection and that God would be preparing his heart. Now, I can see that I have been blessed with a man who was protected by the grace of God in so many ways and is a believer. I have an amazing future husband and an awesome God." Awww….amen! I asked them what keeps their relationship alive. Mark responded, "Patience, respect, religion and the ability to make down or boring times fun." Raquel's answer backed that right up when she responded, "His patience with me. Any other man would have thrown their hands up. Mark's ability to forgive holds us together." It's hard for Mark and Raquel to imagine life without each other. "We love to travel, play video games—although Raquel always wins, cook, and hang out with our dog," Mark said. "We are best friends and honestly do almost everything together," Raquel agreed. Their soon-to-be-family wouldn't be complete without their lovely dog, Mason. "He is a riot and our pseudo child. I believe if you were to look at the pictures on both of our phones you would find hundreds of pictures of Mason," Raquel admits. "One of our favorite things to do is to go out to a restaurant or bar and try new microbrew beers," Raquel shared. "We can sit there over a few drinks and try new things, talking to each other the whole time. We also go to the gym together regularly and already have some runs that we signed up for this spring." Compromise makes any relationship run more smoothly. Raquel smiled when she told me that she has a slight shopping addiction, but she appreciates the fact that Mark tolerates it with her. Mark is obsessed with sports, so they tend to watch a lot of sports together, too. "We like to go out with friends but I think he would agree with me that we enjoy each other's company the best." Raquel said. Mark loves so many things about Raquel. It was difficult to narrow down his favorite qualities about her, but he ultimately answered, "Her intellect and drive. I have learned a lot from Raquel." Mark added, "She's also a fantastic singer after a couple drinks." Raquel's favorite thing about Mark is his humor. "That man is hilarious. He always has me laughing!" Recently, Raquel has noticed that Mark may be one of the most dedicated (addicted?) snow blowers around. Certainly not the worst quirk to have during the winter in Wisconsin... :) Even with the smallest amount of snow out there, you'll find Mark clearing out his driveway and gradually moving on to the sidewalks and other driveways of his neighbors. Mark's care and concern for people is shown most in his chivalry to Raquel. "When I leave at night, he always walks me to my car. To this day he opens the door, kisses me, tells me to put my seatbelt on and to text him when I get home," Raquel said. "He also always opens the car door for me. He did it on our first date and still does it to this day. Complete gentlemen." Mark held a surprise birthday party for Raquel at their favorite Racine hang out, Envi. "Most of my family and friends were there. He then completely surprised me by proposing! He was so nervous. He looked like a ghost. I was so excited I didn't say yes, I just started kissing him. As he put the ring on me, he asked if that meant 'yes.' I said 'Yes, of course!'" 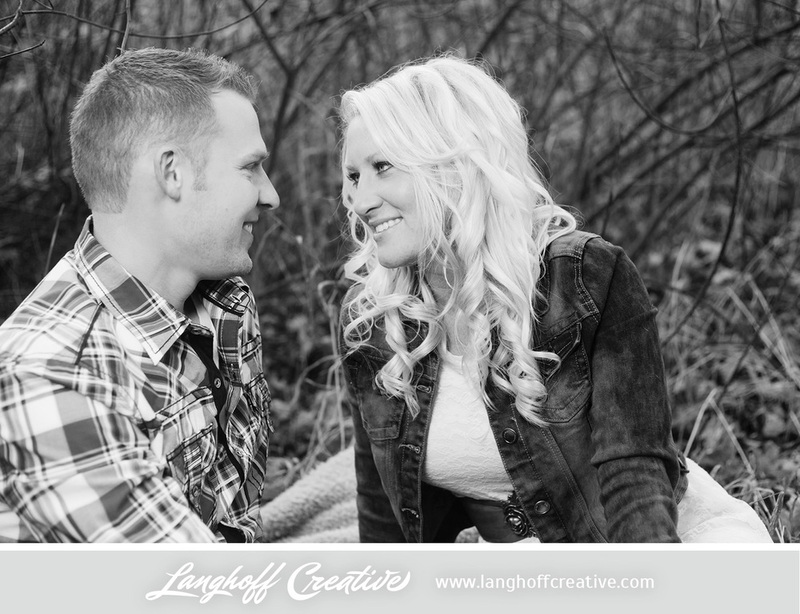 The countdown is on for September 13th... Their Kenosha wedding day is going to be incredibly special. Their biggest challenge in planning so far has been narrowing down their guest list! They're planning for a large wedding, and although they haven't nailed down their ceremony location for sure, their reception & celebration at UW-Parkside is going to be beautiful. Decked out in black, white and gold, it will be very formal with candles everywhere. Raquel has been collecting all kinds of flowers, string lights, and vases from all over to make her own decor. "We want everyone to enjoy themselves and celebrate with us as we make our lives one. We have so many fun details planned like a wine and cigar bar on the patio and an ice cream bar," Raquel said. She and Mark find themselves at Culver's or Dairy Queen on a regular basis, so they have chosen ice cream over cake. Love it! Another thing to get excited about? GREECE! Mark and Raquel are crossing their fingers for a dream honeymoon in Greece a few days after they get married. As we all know, getting married is about much more than just the wedding day. I asked them both what they're looking forward to in marriage. Without skipping a beat, Raquel responded, "BABIES!!! Bring on the babies!" Mark is excited about starting a family right away, too. He also responded, "I'm looking forward to experiencing every day-to-day obstacle with my best friend." So sweet. I love this love story and have thoroughly enjoyed a growing friendship with Mark and Raquel. Chad and I are so excited for them and can't wait to shoot their wedding!